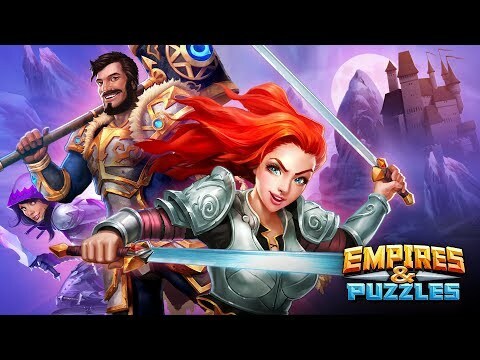 Empires & Puzzles offers a new approach to RPG games, combining battles in match 3 with building phases of powerful fortresses, not to mention exciting PVP duels. Join the fight now! + Fight - Send your troops to the charge for incredible combos! + Build - Rebuild an immense fortress! + Collect - Summon hundreds of powerful troops and heroes! + Plunder - Compete against players from around the world in PVP battles! + Improve - Improve your heroes, buildings and skills!